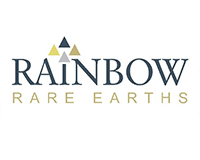 Martin Eales, Chief Executive Officer of Rainbow said: “We are extremely pleased to have entered into this Cooperation Agreement, recognising the potential positive financial impact it may have on the Company given the much higher selling prices for processed rare earths compared to the mixed concentrate that Rainbow currently sells. A fully funded DFS is very much in line with our strategy to extend our operations “downstream”. 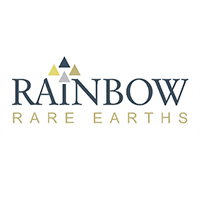 Rainbow Rare Earth Ltd (LON:RBW) mining company, today announced it has entered into a Cooperation Agreement with TechMet Limited to fund a Definitive Feasibility Study for downstream rare earth separation. Additionally, TechMet has agreed to subscribe US$0.50 million for new Ordinary Shares alongside a proposed placing by way of an accelerated bookbuild to raise approximately £1.6 million at a price of not less than 12p per Ordinary Share. Brian Menell, Chairman and Chief Executive Officer of TechMet said: “Rainbow is one of the most exciting emergent players in the rare earth space, and the opportunity for our company to invest in its development, and specifically to jointly explore processing opportunities, is of considerable strategic value to TechMet as we expand our portfolio. 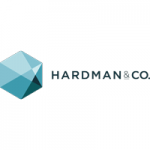 I believe that the expertise of our team, and our sources of financing are very complimentary to those of Rainbow, and that our partnership will add considerable value to our respective strategies”. TechMet is a private company investing in projects producing, processing and recycling strategic “technology metals”. Its focus is on the supply pipeline of the metals benefitting from the exponential growth in demand due to disruptive technologies such as batteries, electric vehicles and renewable energy, where the sources of supply are concentrated in a few hands and are not efficiently scalable. TechMet has interests in producing or development assets covering lithium, tin, nickel, cobalt and tungsten, with projects across a number of African countries and in North and South America. The TechMet management team has extensive experience of project development and funding from mineral exploration through to production, and value-added processing. · Subject to and following the initial DFS scoping exercise, TechMet and Rainbow expect to commence formation of the joint venture and the work programme for the DFS within 6 months. It has long been part of Rainbow’s strategy to extend its operations ‘downstream’ and thereby benefit from the higher sales values that can be achieved by selling a product that has been subject to more processing than the existing mixed rare earth concentrate. Given the near term focus on the continued ramp up of its mining activities in Burundi, the Cooperation Agreement will accelerate Rainbow’s ability to accurately assess and subsequently participate in and benefit from the processing of its own rare earth concentrate. The funding structure contained in the Cooperation Agreement ensures that TechMet ‘carries’ Rainbow’s contribution to the joint venture until after the completion of the DFS. Arden is acting as broker and bookrunner in connection with the Placing. The Placing, which will be undertaken by way of an accelerated bookbuild, will be launched immediately following the release of this Announcement and will be made available to eligible existing institutional shareholders and new institutional investors. The timing of the closing of the Bookbuilding Process will be at the sole discretion of Arden Partners. The completion of the Bookbuilding Process containing details of the Placing Price, the number of Placing Shares and the number of TechMet Subscription Shares will be announced as soon as practicable. The Placing is subject to the terms and satisfaction of certain conditions set out in the Placing Agreement. Investors’ participation in the Placing is subject to the terms and satisfaction of certain conditions set out in the appendix (the “Appendix”) to this Announcement. The Placing is not underwritten. 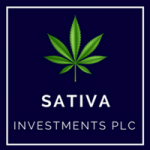 Under the terms of the Placing, the Company intends to place the Placing Shares with eligible existing institutional shareholders and new institutional investors. Members of the public are not entitled to participate in the Placing. By choosing to participate in the Placing and by making an oral legally binding offer to acquire Placing Shares, investors will be deemed to have read and understood this Announcement in its entirety, including the Appendix, and to be making such offer on the terms and subject to the conditions contained herein and to be making the representations, warranties, undertakings and acknowledgements contained in the Appendix. The Placing Shares, when issued, will be fully paid and will rank pari passu in all respects with the Existing Ordinary Shares, including the right to receive all dividends and other distributions declared, made or paid after the date of issue. Admission is expected to take place on or around 8.00 a.m. on 16 August 2018 and settlement is expected to occur on or around 16 August 2018. The Placing is conditional on, inter alia, the Placing Agreement becoming unconditional in all respects and Admission becoming effective on or before 8.00 a.m. on 16 August 2018 (or such later time and/or date as the Company and Arden may agree). The Placing is conditional on the TechMet Subscription. This Announcement should be read in its entirety. 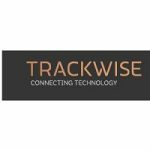 In particular, you should read and understand the information provided in the “Important Notices” section of this Announcement and the detailed terms, conditions and additional information relating to the Placing described in the Appendix. Rainbow’s focus is the Gakara Project, one of the highest-grade (47%-67% total rare earth oxide) rare earths projects globally. The Company listed on the standard segment of the official list and to trading on the main market of the London Stock Exchange in January 2017 with the intention to fast-track the fully permitted Gakara Project to first production and export of rare earth concentrate by the end of 2017, which was achieved as planned. Net funds of US$3.5m raised in December 2017 were applied as intended to the purchase of new mining equipment, an expanded exploration and drilling campaign and production development. The Exploration campaign in particular has delivered positive results for shareholders, particularly the drilling undertaken at Kiyenzi which is now in ‘Phase 2’ and will serve as the foundation for the Company’s targeted maiden JORC Resource statement in the fourth quarter of 2018. In the period from first production of concentrate in December 2017 to 30 June 2018 the Company exported 575 tonnes of rare earth concentrate and sold 475 tonnes and remains on track to target a production run rate at the end of 2018 of approximately 400tpm. During the production ramp-up period to date in 2018, production and selling costs per tonne have exceeded revenues per tonne of concentrate, although these costs are expected to fall significantly on a per tonne basis as production scales. Given the current rate of cash consumption the Board believes that the balance sheet would benefit from additional cash in the form of equity in order to cater for the sometimes irregular sales cycle for its concentrate and ensure sufficient working capital reflecting the Company’s complexity and nature of its operations. In addition, following the Company’s decision to advance mining development at Murambi rather than Gashirwe due to its more attractive characteristics for rapid delivery of ore, there has been an increase in mining fleet costs due to the greater size of the area to be exploited. Alongside this, looking further ahead in the Company’s development schedule, it is proposed to investigate the Gomvyi area to establish whether the deposit is suitable as the Company’s next new mining area after Murambi. 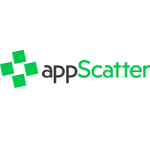 As described above, under the Cooperation Agreement TechMet has undertaken to subscribe for US$0.5m in new Ordinary Shares which will be subject to a 12 month lock-in. The Directors believe that the opportunity to invest further in Rainbow on equivalent terms should be extended to existing and new investors. 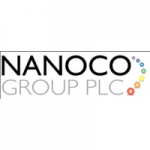 The Capital Raising will be limited to an issuance of approximately 14.9 million new Ordinary Shares. The TechMet Subscription Shares, when issued, will be fully paid and will rank pari passu in all respects with the Existing Ordinary Shares, including the right to receive all dividends and other distributions declared, made or paid after the date of issue. The TechMet Subscription Shares Admission is expected to take place on or around 8.00 a.m. on 16 August 2018 and settlement is expected to occur on or around 16 August 2018. The TechMet Subscription is not conditional on the Placing. 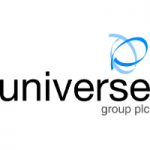 The Company’s Operations Update to 30 June 2018 was released on 24 July 2018. Since this date the Company has traded in line with expectations. .
As at 6 August 2018 the ‘basket price’ for Rainbow’s concentrate was estimated to be US$11.93.kg, which has decreased by 1.6% since 24 July 2018. 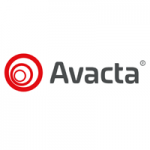 · Up to approximately US$1.0 million to provide working capital to strengthen the balance sheet.